We first visited The Eden Project in 2006 with our eldest daughter for her 3rd birthday. We fell in love with it, bought a year’s pass but were unable to return until this year, 2018!! Twelve years on it is more magnificent than I remember and a firm favourite with all of our kids who adored it and insisted we visit twice. Don’t have time to read this now? Add it to your Pinterest board and read it when you have time. The Eden Project is totally unique. I don’t think you’ll find anything else like it in the rest of the world. Tickets include free entrance for a YEAR! That’s a bargain. The site where it sits was once a really ugly clay mine: China clay mines are on the surface of the land and they are landscape changing in a hideous and destructive way. 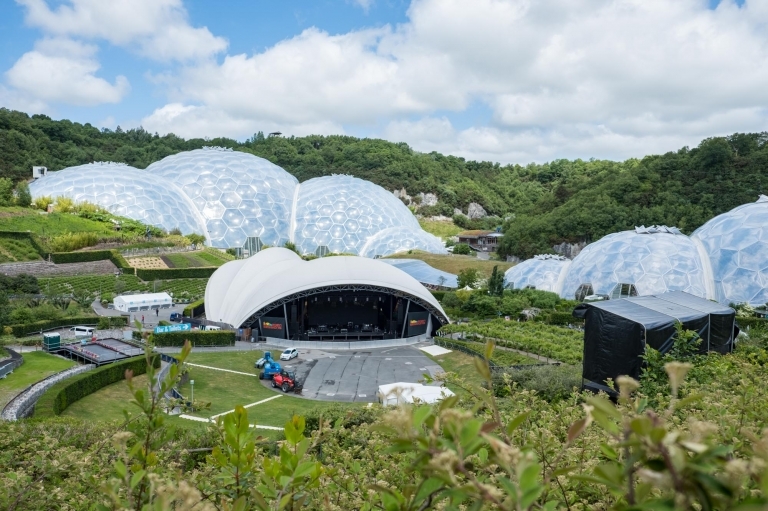 The Eden Project fills 35 acres of abandoned china clay pits. When you see the transformation photo, which is at the entrance, it will blow your mind. In between the two Biomes there are hands on exhibits about plants, the environment, several cafes, the educational center, a juice station, a restaurant and a gift shop. There’s free WiFi throughout and kids can enter the site through a secret entrance via a slide. You can’t get better than that. There were 230 miles of scaffolding used to build the Eden Project biomes which earned an entry into the Guinness Book of Records. One of the biomes contains the world’s largest indoor rain-forest. The biome is 50 metres (165 feet) high and has mangrove swamps, fruiting banana trees, a Malaysian hut with a vegetable plot and paddy field, cola and cocoa plants, a soya plantation, pineapples, nuts, spices and even a waterfall. It’s also the home to the Titan arum – the world’s largest and stinkiest flower. It takes six years to bloom. Watch a video of the Titan Arum flowering. The view from the top of the biome. The Rainforest Canopy Walkway is a beautiful treetop walk, high up in the steam and heat where you can look down on the rainforest below. Be prepared to swelter up there but it is definitely worth going up. The view over the Biome is magnificent. The Mediterranean Biome is home to over 1000 plant species and a restaurant featuring Mediterranean dishes. There are daily story sessions in the Mediterranean dome between 12-2 pm where smaller kids can listen to tales and fables told by a group of storytellers. The sessions last for about 15 minutes and take place by the Citrus Grove. 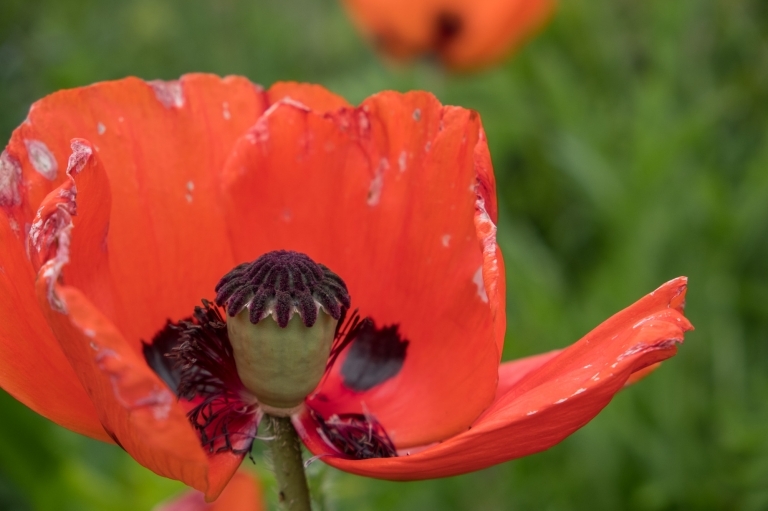 The outdoors Eden Project garden contains over 3000 plant species spread over 20 acres of garden. If you walk along the pathways you can enjoy miles of flowers, plants and their pollinators. Invisible Worlds is a NEW permanent exhibition which reveals a world beyond your senses – too big, too small, too fast, too slow, too far away in space and time, uncovering the true and extraordinary story of life on Earth. The garden is home to some weird and wonderful sculptures. Among the plants you can meet Eve, the Giant Bee, and a huge steel man. If you’re looking for learning packs for your kids, you can download and print nine directly from the website and take them with you. It’s also a great place to learn more about the environment and can help teach your kids more about plant life, where their food comes from and how to protect the environment. Eden has England’s longest zipline! For older kids, they can fly across the park on England’s longest and fastest zip wire, take a freefall jump, plummet in a giant swing or do a 360 degree loop in a swing. There are themed events according to the seasons, workshops for adults and children, activity days, music concerts… It seems endless. You can even spend the night (or two) on-site with the YHA. 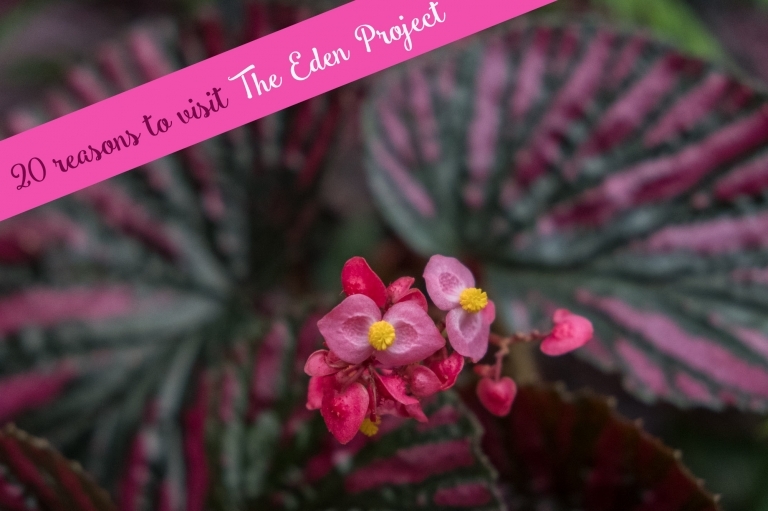 As well as a visitor attraction,The Eden Project is an educational charity. The money raised supports all sorts of great causes, from preserving rain-forests across the globe and conserving Britain’s wildlife, to helping tackle isolation amongst local senior citizens through a weekly lunch club. You can even complete part of a degree or educational achievements there. By visiting, you’re supporting the charity and enabling others. In December there’s even ice skating. It’s dog friendly!!! Whilst you cannot take Fido into the Biomes, he can go everywhere else. Here’s our bear enjoying his time exploring the outdoor gardens. In some respects it is a shame we’re so far away from the Eden Project because the reality is we won’t go again for quite a while. It’s an incredibly worth while project to support and our kids had so much fun we went twice and they asked to go again. 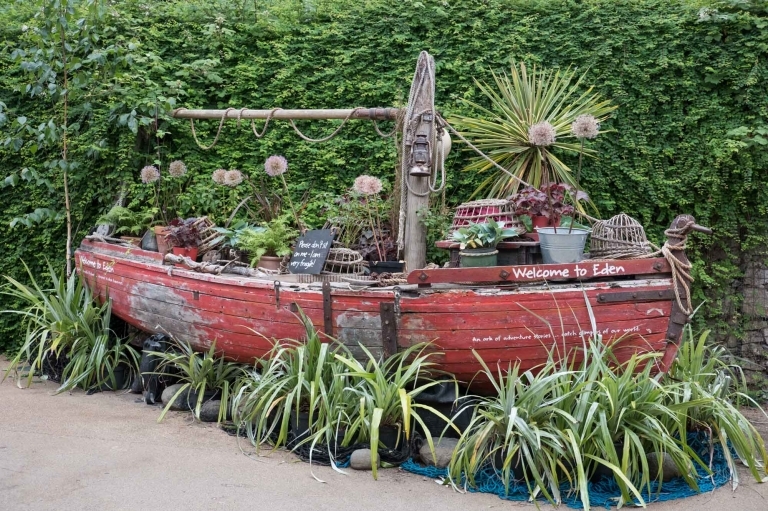 Have we inspired you to visit Cornwall and add the Eden Project to your list? You can add this post to your pinterest board and spread the Eden love. We’ve been all over the world. Let’s see if we can inspire you?